Zoho and Freshdesk are the best and most reliable help desk CRM platforms with many excellent features. Zoho, located, in Pleasanton, CA has been developing cloud applications and tools for businesses since 1996. Some functions of Zoho and Freshdesk are very similar, so determining which works best for your company’s particular needs may require some research and experimentation. Below is a Freshdesk vs Zoho comparative evaluation, to help you more closely compare these two powerful CRM programs and make a more informed choice for your business. Zoho Desk offers a minimalistic and simple user interface. A column on the left helps users choose different ticket views (built-in and customizable ones), and the top bar helps seamless navigation between various modules. Switching between multiple departments is rather simple and seamless. The help desk agent’s dashboard in Zoho Desk displays provides a complete menu of service function in the vertical menu along the left margin, including links to open tickets, closed tickets, overdue tickets, My Response Overdue tickets and other essential functions. The largest area of the screen displays columns of links to tickets based on time blocs of deadlines for response, for example, those due within 6 hours, those due within 12 hours, etc. Occupying most of the screen are the tickets themselves, organized by how urgently they need an agent’s attention. Agents can choose to organize tickets by due time, ticket priority, ticket status, or the type of customer. Zoho Desk also has a bunch of dashboards, the most important of which consolidates metrics that help managers with faster decision-making. 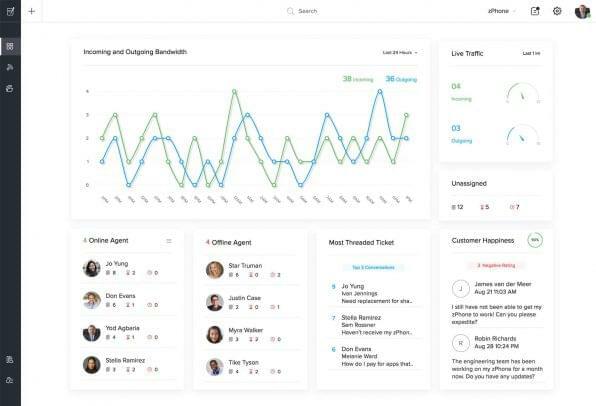 The dashboard displays ticket traffic, agent availability, and customer satisfaction scores, helping managers keep track of the team’s activities. Visuals include an active chart following changes in Incoming and Outgoing Bandwidth, a read out of Live traffic, time clock tracking of live traffic, a running report of Unassigned tickets, and real-time activity stats for Online and Offline Agents. It also tracks on columns for Most threaded ticket and Customer Happiness message data, for a real-time relative performance perspective on those two key metrics. The Zoho dashboard displays real-time information specified by your Admin in the system support center. 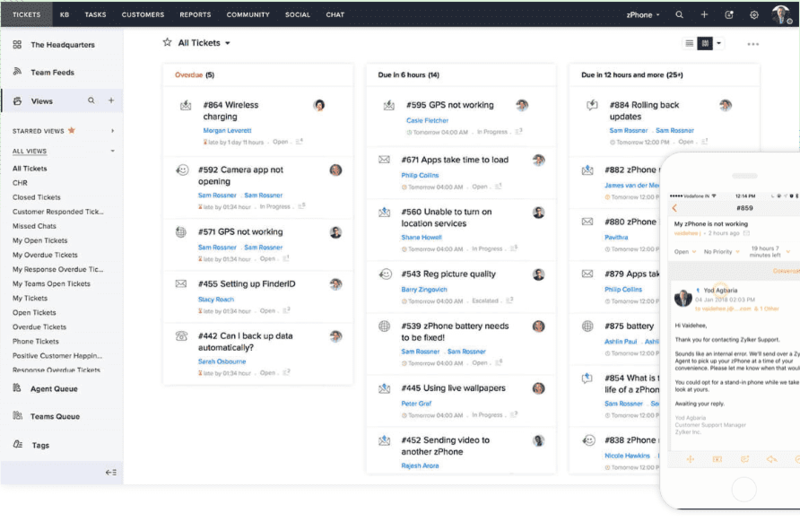 It also displays a quick view of activities happening in the current week, month, previous week, etc., allowing the user to plan activities at a glance. Widget’s in the form of pie charts conveniently display additional information. Freshdesk likewise offers a clean, well-organized UI, with a single, vertical column of main menu selections to the left for accessing other dashboards and applications. Menu items are text, instead of symbols, which eliminates the learning curve necessary for new users (which must be factored into ramp-up time and impacts to productivity during the startup phase for Zoho Desk users). Freshdesk’s UI uses terms, instead of the typical icons, to populate its horizontal menu bar, providing users access to various other dashboards and applications. The primary dashboard displays a summary of tickets due today, as well as open, overdue, unresolved, unassigned, and on-hold tickets. The Freshdesk activity feed resembles news feeds on social media platforms. An instant add button at the right side of the menu toolbar is provided for tickets, emails and search entries. The Tickets dashboard in Freshdesk displays provides a Summary of help desk tickets and individual ticket Activity descriptions. Activity search results can be filtered by criteria such as priority, source, type, customer, status, creation date, due date, and tags. This data can be exported to a CSV or Excel file. On the Reports dashboard, Freshdesk users can order Productivity, Helpdesk Analysis, and Customer Happiness reports. In each category, subsections contain various reports, such as group performance, agent performance, trends in ticket volume, and top customer analysis, among others. The Freshdesk Help Desk detailed subsection, in the Analysis category, provides charts of current metrics, such as ticket status, average first response time, percentage of tickets resolved after first contact, average overall resolution time, and others. Reports are filterable by criteria such as priority, agent, time frame, group, agent, source, product, and customer type. All factors considered, it seems that high-volume Help Desk operations facilities are likely to opt for the sharper, more tightly coordinated look of Zoho Desk. Overall, Zoho Desk’s UI provides a slightly more advantageous user experience than Freshdesk. Verdict: Zoho Desk prevails in the User Interface Comparison. NOTE: Freshdesk provides six options for ticket status. Zoho Desk offers four. This is not necessarily an issue as you can create more custom statuses, and if you find other features you prefer in Zoho Desk and also determine that your organization does not require that much specificity in ticket status. 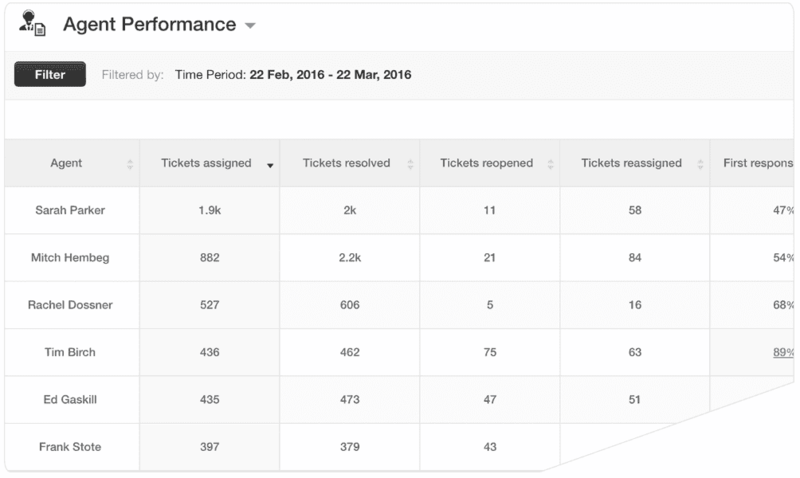 Freshdesk also provides a function for tracking time spent on tickets. Additionally, a dedicated space is provided for each agent’s To Do list. Many ticketing features are provided on both Freshdesk and Zoho Desk. The pre-designed automated responses are identified by different names, but are otherwise basically the same. The major distinctions in these areas of functionality really amount to user preferences of UI features and aspects (and case-to-case scenarios). 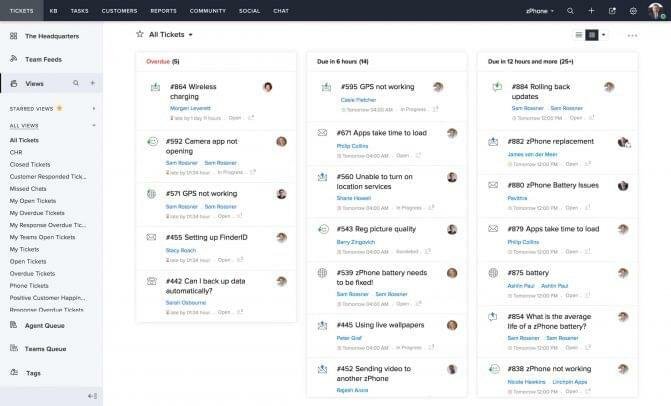 Based on this forward-thinking approach in providing the SMS option, as well as the phone and voicemail options also offered by Zoho Desk, but not by Freshdesk, and the relative equality of the two systems in many other ticketing process features, Zoho Desk pulls far ahead of Freshdesk in advancement in communications facility and flexibility and, therefore, in overall comparison of functional ticketing features. Based on the fact that Zoho Desk provides support across phone, voicemail, and SMS, and the relatively superior quality of features, Zoho Desk pulls far ahead of Freshdesk in terms of facility, flexibility and, therefore, in the overall comparison of functional ticketing features. Verdict: Zoho exceeds Freshdesk’s performance in the File Management and Sharing Comparison. Zoho Desk has three pricing levels, whereas Freshdesk has five pricing tiers. Both providers bill their plans annually, both offer monthly payment options, and both offer a discount for paying annually. Zoho Desk offers the following three pricing plans. This array of features provides basic help desk functionality, such as email, reporting, and customization. Users have a sub-platform for development of a knowledge base, a searchable collection of informational resources for customer support. Zoho Desk supports nine languages, including English (USA), Spanish, Japanese, German, French, Russian, Turkish, Chinese, and Portuguese (Brazil) for use in web pages, email notifications, and other customer-facing communications. Free trial — A free 15 trial is offered, without requiring a credit card number. During the trial, you can, and, in fact, are encouraged by Zoho Desk to change plans, to discover the very best fit for your help desk operations and to integrate with your broader organization. Zoho Desk offers a money-back guarantee, so if you are dissatisfied with the product or customer service, you can cancel your subscription and receive a full refund of your purchase amount. See complete information about Zoho Desk help desk plans. Freshdesk offers the following five pricing plans. The email support in Freshdesk provides an inbox for customers’ email requests. The standard phone channel is an integrated phone line (users must purchase numbers and pay for phone rates) with which users can record incoming and outgoing calls, convert calls to tickets and forward calls to mobile phones. The user-build knowledge base for customers is a searchable collection of articles relevant to customer support. Integration of Twitter and Facebook enables responses to queries from social platform users from within the Freshdesk Help Desk. Community forums provide space, accessible from within the platform, for users to communicate. Administrators can create forums for various categories of discussion and can post announcements and sticky notes. Game mechanics can implement scoring systems around team and individual performance metrics, to help keep Help Desk support staff more fully engaged and provide recognition of strong performance by team members. Freshdesk’s live chat channel allows direct user y-customer interaction through the business’s website. Individual support sections are provided for multiple products. Content directed to customers, like web pages and email notifications, are provided multilingual support in 33 languages. See complete details on Freshdesk Help Desk plans. Both providers offer Free service to small businesses. Both also offer moderately priced service packages in the $12 – $15 dollar range. It is in the upper priced service lines that the distinctions appear, with the Zoho platform faring better than Freshdesk’s much more expensive, yet arguably more limited spectrum of features. Verdict: Zoho is the clear winner in the Pricing and Plans Comparison. See complete information about Freshdesk security. See complete information about Zoho Desk security. Both Freshdesk and Zoho Desk maintain ITIL compliance. 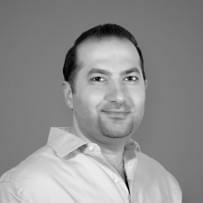 This means that they both adhere to best practices for aligning software services with customers’ operational needs. For Service Level Agreements, the two platforms have automations and business rules that can be configured to meet customers’ specific needs. Many other security features are common between the two help desk platforms, and can be viewed as qualitatively equal. However, Zoho Desk does provide more and, therefore, does edge-out Freshdesk. Verdict: Zoho succeeds in the Security Features Comparison. The most revealing contrast between Freshdesk and Zoho Desk reporting options occurs at Zoho’s Enterprise plan and the Freshdesk Estate plan. The plans provide their platforms’ entire reporting software packages, both of which are offered for trial use. Zoho Desk provides a view of reports by agent time spent per account or product, by overdue requests, completed requests, department, priority level, and other criteria. 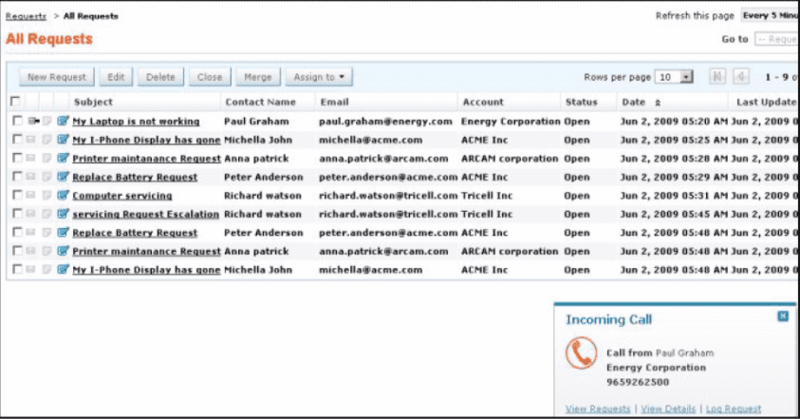 Users can schedule, share, and manage reports, all from the Reports page. 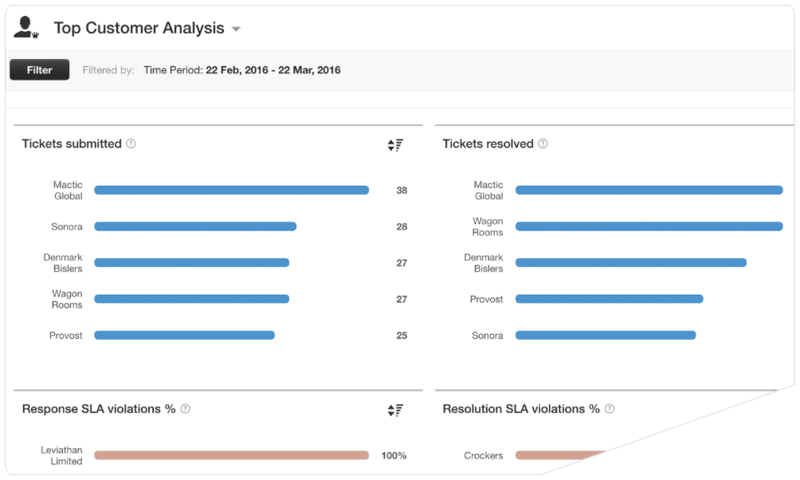 Zoho Desk offers in-depth reports to analyze ticket traffic, split by what channel they come from and how long it takes for tickets from each channel to reach a resolution—this pinpoints where the bottlenecks lie and provides insight for improvement. The wide range of data available in Zoho’s collections enable categories of reports such as Report by Product, Time Zone, Account City, and Account Industry, among others. These reports allow tracking of the numbers of help requests from these various zones of activity. A user-friendly report ordering menu features a scrollable list of default report parameters, from which users can simply drag desired reports from the Available reports column into the Display reports column for execution of displaying, sharing, or printing. Self-evaluation is simple, with Zoho Desk’s Agent Scorecard. It helps agents monitor metrics such as average response time, customer happiness, ticket traffic, and expertise. All of this is displayed on a single screen, along with agent information and current availability. Zoho’s Matrix reports provide data in a grid presentation, allowing help desk department managers and other company decision makers to analyze an array of scenarios based on the criteria chosen for a variety of matrix reports. These reports typically take under a dozen steps to configure and order. Complete step-by-step instructions are available for this and other reporting processes in the Reports tab of the downloadable Zoho Desk user guide. Graph ordering is also made easy with intuitive command sets for formatting and populating data axes and data points. Creating custom reports and dashboards are seamless and easy. With simple checkbox of elements, Zoho Desk helps you choose how you want your data represented. It also offers a detailed analysis of your CSATs, in other words, you have precise data to measure customer happiness. Negative feedback can be quickly pulled up and fixed in this simple format. In-built reports include SLA and Workflow rule implementation and performance, along with segmented data for multiple departments, products, and even individual agents. Reports for Article performance on Help center are also available. All of these reports and dashboards can be scheduled to arrive at your inbox at any interval you choose. They can be exported in CSV, Excel and PDF formats conveniently. examples there, such as the few below. A quick view of department or project metrics summarizes the status of performance in various areas of help desk operations. Data tracking to discover trends in billable hours over the past annual accounting period give top management the information tools needed for seasonal or other period planning and allocations of resources and attributions for purposes of refining benchmarks and goals. A month-by-month overview of comparative operational costs in time spent in contrast to planned expenditures in hours provides essential data for future forecasting, budgeting, and strategic planning. Freshdesk provides reports of Group and Agent performance. 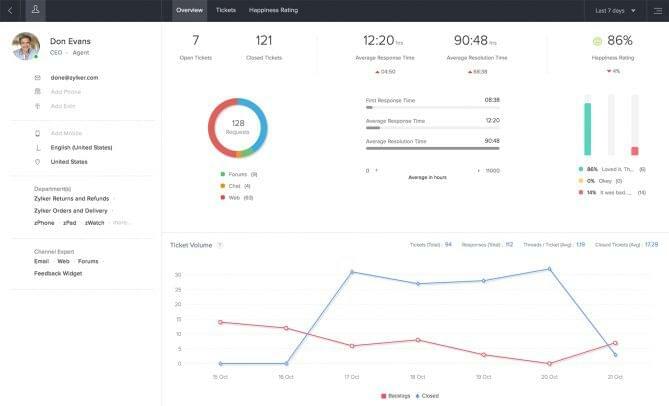 Both reports types display the total of assigned tickets, total reopened, resolved, reassigned, percentages of first call resolution, first response SLA, and resolution SLA. Most of the dashboards can be filtered by priority, agent, group, customer, timeframe, source, type, and product. All Freshdesk plans also permit exporting reports in CSV file format. Freshdesk’s Blossom plan allows saving reports and provides users with Helpdesk In-Depth dashboard access. The In-Depth feature affords users a detailed display of ticket statuses, as well as a view of help desk performance by channel, group, or agent. The Garden plan (the next higher service level) displays more granular details of tickets in the reports, including information such as priority, type, source, and so on. This level also provides report scheduling functionality. The Blossom and Garden plans both provide functions for emailing reports in PDF format, from the Helpdesk’s In-Depth dashboard. The Freshdesk Estate plan culminates in its quality of reporting functionality. Its charts expressing metrics such as Ticket Volume Trends, Performance Distribution, Top Customer Analysis, etc., define the overall capabilities of the powerful CRM system. For example, the Performance Distribution report displays first response time and average response time (within intervals), with a trend line charting trends over timeframes of a day, month, quarter, year, etc., to reveal average response time as well as trends. 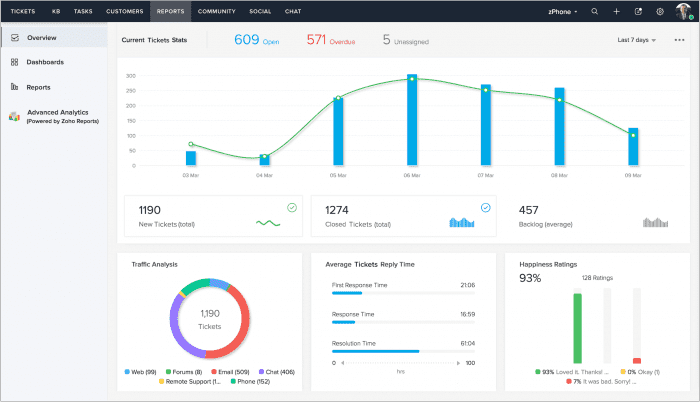 The Ticket Volume Trends function gives Freshdesk users help desk tools for handling tickets based on unresolved and resolved tickets per the number of tickets received. The bar chart provides data for ticket activity load analysis, based on the above indicated time periods, and reflects daily and hourly activity trends. This information is useful in strategizing to reduce resolution times and improve customer experience. Finally, Top Customer Analysis supplies insights into which customers represent the most profitable accounts for the company and which are the most costly to manage, in terms of the number of Help tickets and the extent of difficulties in resolving them. This form of analysis also renders percentages of SLA violations, responses to those, and final resolutions, as well as numbers of customer and agent responses. Users can simply toggle back and forth between the top and bottom five for each set. Filters enable users to also identify customers who have generated the highest number of high-priority tickets, and those who produced specific types of tickets, the number of tickets generated by product type, and other such information of analytic interest regarding the Help Desk center. Freshdesk doesn’t appear to provide users with very extensive options for customizing reports. Admins can add new data entry fields to tickets. Reports can then be generated regarding those new data, within the parameters of the pre-set analytics, but that is the extent of the flexibility for reporting. 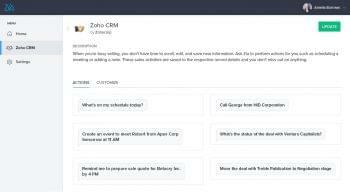 Notwithstanding Freshdesk’s high performance in this category, Zoho Desk offers greater advantages for a company that prefers to have the ability to create highly granular help desk center reports using custom criteria or to define functions at a generally higher level of detail. The features and functions available for robust reporting weigh in favor of Zoho Desk in this quality comparison. Verdict: Zoho excels in the Reports Comparison. In the Zoho vs Freshdesk CRM product analysis, many assessments of evaluated subsections favored Zoho Desk. However, the comprehensive analysis should not base a conclusion simply on a tally of subsections in which one or the other CRM platform offers some particular advantages. As previously noted, much of what a prospective buyer should consider preferences and features of the two platforms offer that best serve specific needs of his or her company’s help desk operations. Based on the above analysis, Zoho Desk does offer a greater range of reporting options, and more robust report compilations, as well as stronger platform security overall than Freshdesk. Freshdesk’s security is strong, its reporting capabilities are adequate. It isn’t necessary to invest in Zoho Desk, if you find that Freshdesk is sufficient to meet your company’s needs. 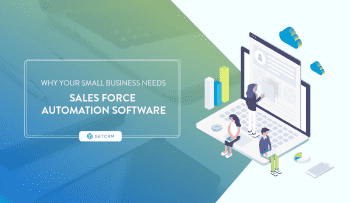 Since Freshdesk is less expensive to implement than its Zoho Desk competitor, any company considering a helpdesk platform should evaluate their real needs prior to deciding on a CRM software supplier. Nonetheless, though Freshdesk’s ticket format map be more familiar to users – it resembles an email – and is therefore more intuitive. Overall, Zoho Desk’s UI is more intuitive. Zoho Desk also provides for tighter integration of the social channel, which is a naturally very high priority for today’s companies. Both Freshdesk and Zoho Desk help desk systems provide multiple CRM integrations. Both offer Salesforce, SugarCRM, Capsule CRM, Microsoft Dynamics CRM, Infusionsoft, Zendesk CRM as well as its integrations, including Agile CRM, SuiteCRM, Magneto, and BaseCRM. Many great features are overlapping, and whereas Zoho Desk has the appeal in terms of overall functionality, vast array of integrations, and its exceptionally user-friendly UI. 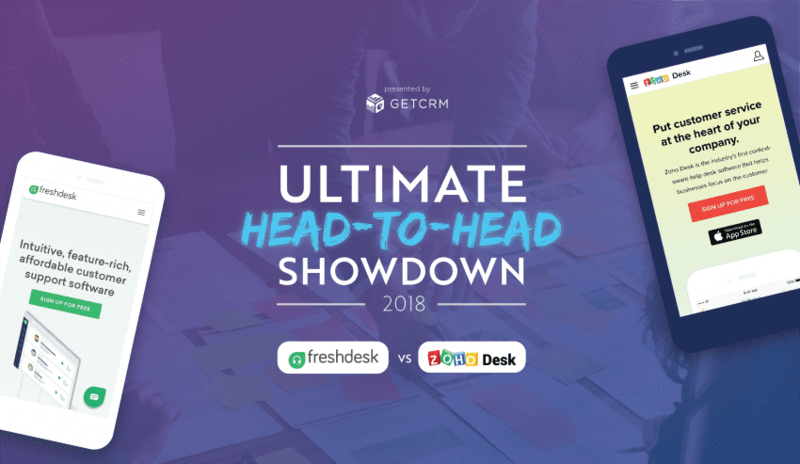 Freshdesk makes up some distance in the competition with its attractive styling, intuitive ticketing features, and its lower prices. Both Zoho Desk and Fresh Desk offer free trials of 15 days and 30 days respectively. This helps prospective users like yourself, make an informed decision through thorough analysis. With its affordable pricing plans, extensive functionality and prompt user support, Zoho Desk has a clear advantage over Freshdesk. However, those leaning towards the latter must decide if Freshdesk’s higher cost will give you a considerable edge in added value. Whether your priority is feature preferences, or cost, the point is to find a software solution that is the best fit for your company. And we believe that Zoho Desk is the solution. The Winner: Zoho Desk is the clear winner in the overall product Comparison.